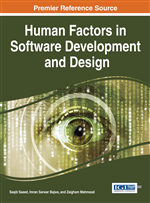 This chapter aims to identify, analyze, and classify the methodologies and methods described in the literature for the usability evaluation of systems and services based on information and communication technologies. The methodology used was a systematic review of the literature. The studies included in the analysis were classified into empirical and analytical methodologies (test, inquiry, controlled experiment, or inspection). A total of 2116 studies were included, of which 1308 were classified. In terms of results, the inquiry methodology was the most frequent in this review, followed by test, inspection, and finally, the controlled experiment methodology. A combination of methodologies is relatively common, especially the combination of test and inquiry methodologies, probably because they assess different but complementary aspects of usability contributing to a more comprehensive assessment. The concept of usability was originally articulated naively in the slogan ‘easy to learn, easy to use’ in the 80’s of the last century. This term was often used to refer to the capability of a product to be easily used. This corresponds to the definition of usability as a software quality in ISO 9126-11: ‘a set of attributes of software which bear on the effort needed for use and on the individual assessment of such use by a stated or implied set of users’ (Carroll, 2013). During the 90’s, more sophisticated understandings of usability shifted from an all-or-nothing binary property to a continuum spanning of different extents of usability. Usability turned to be about supporting users in achieving their goals, and not only the user interaction characteristics (Cockton, 2013). According to ISO 9241-11, usability is the extent to which a system or service may be used by specific users in a given context of use, to achieve particular goals with efficiency and effectiveness, while promoting feelings of pleasure (Nielsen, 2003; ISO, 1999). Current understanding of usability is thus different from the early days of HCI in the 80’s. Usability now often subsumes qualities like fun, well-being, collective efficacy, aesthetic tension, enhanced creativity, support for human development, and many others. Usability is part of a broader concept, user experience (Nielsen & Norman, 2013), that, according to the definition of ISO 9241-210 (ISO, 2010), includes all the user's emotions, beliefs, preferences, perceptions, physical and psychological responses, behaviors and accomplishments that occur before, during and after the interaction. Gualtieri (2009) argues that a good user experience should be useful - users must accomplish their goals; usable - users should be able to achieve the goals, performing tasks with minimal effort; desirable - should appeal the emotions of the users. User’s desires are influenced by aspects such as image, language, aesthetics, fun and sophistication (these are the aspects that allow emotional involvement and make brands stand out from their competitors) (Gualtieri, 2009).